John J. Moore concentrates his practice on real estate, general corporate matters, real estate litigation, and business litigation. Mr. Moore has successfully presented zoning and land use petitions to several boards and commissions in the greater Indianapolis area, and has served as lead counsel in several lawsuits in federal and state courts. 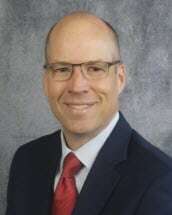 He is licensed to practice in the federal and state courts in Indiana and North Carolina. Mr. Moore’s representative clients include real estate developers, title insurance companies, corporations, limited liability companies and small business owners.